British weather getting you down? Shipping forecast looking a bit grim? Weekend getaways becoming a traffic nightmare? Then why not buy a boat on the Mediterranean coast? When you consider just how many sailing days you actually enjoy on your boat in the UK, maybe it really would be a better proposition to buy a boat in the south of France. The weather is warm and dry, there is very little tide to worry about and away from the Cote D’Azur there are some very reasonable marina berths to be had; either to buy or lease. On balance you may find that with a little bit of forward planning the cost of owning a boat here is not as expensive as in the UK. It’ll certainly be a lot more enjoyable! And…………..No foulies required! Here at Boatshed Sud Med and Cap D’Agde we are constantly travelling in and around the marinas along the Languedoc coast, regularly in contact with marina authorities, boatyards, marine surveyors and engineers. Because we speak French we can point you in the right direction for all your boating needs, from anchor chain suppliers to sail maker. We will handle all the paperwork, and registration processes as part of our brokerage service. We can also be a point of contact for keeping an eye on your boat when you are not around if needed. Along the Languedoc Roussillon coast there are many ports within a short drive to airports using low cost carriers such as Easyjet, RyanAir and Flybe. You might not even need to hire a car; trains and buses are frequent to most of the bigger marinas. 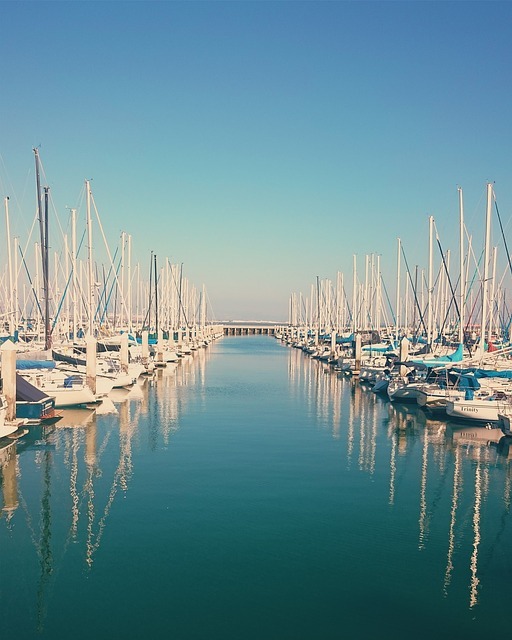 Let us find you the perfect boat in the perfect marina at a price that will still allow for that plate of “moules frites” washed down with a glass of chilled rosé, all enjoyed beneath a clear blue sky on a sparkling blue ocean. Then why not contact us at www.boatshedsudmed.com or www.boatshedcapdagde.com to discuss some ideas. Banyuls sur Mer This medium-capacity marina has moorings for boats with a maximum length up to 13.00 m and a maximum draught of 4.00 m. The nearest airport is Perpignan (40 minutes). Port-Vendres is located near the Spanish border. It is a natural harbor with 250 mooring capacity for sailboats and superyachts up to 70 meters in length and a maximum draft of 10 mètres. The nearest airport is Perpignan(40 minutes). Argeles sur mer is located at the foot of Albères, between the last sandy beach of the French West Mediterranean coast and the first of the rocky coast line. St. Cyprien has 2200 berths for boats up to 20 meters long, maximum draft of 3.5 mts. The nearest airport is Perpignan (25 minutes). Canet-en-Roussillon has a capacity for 977 boats up to 24 mètres . The nearest airport is Perpignan (25 minutes). 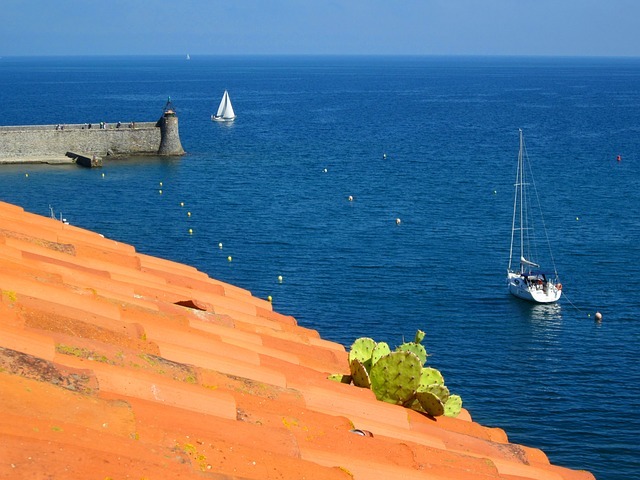 Sainte-Marie has moorings for boats with a maximum length of up to 12.00 m and a maximum draught of 2.50 m.The nearest airport is Perpignan (25 minutes). Leucate has several integrated basins leading to 1270 moorings for boats up to 20 metres in length and a maximum draft of 4 metres. The nearest airportis Perpignan(25 minutes). Gruissan has1300 moorings for boats up to 30 metres and a maximum draft of 2.50 metres. The nearest airport is Perpignan (25 minutes). Narbonne-Plage marina has 600 berths for boats up to 12 metres. The port depth can vary between 0.8and 1.8 metres.The nearest airport is Perpignan (25 minutes). Narbonnehas mooringsfor boats with a maximum length of up to 12.00 m and a maximum draught of 3.00 m.
Sérignan surOrb is located in the town of Valras-Plage. It is a marina with medium capacity with 380 berths for boats of 11 metres and 1.80 metres maximum draft. Cap d´Agde has 3300 berths, two Travel Lifts of 50 and 16 tons capacity and a 2 ton crane. The nearest airport is Béziers (14 kilometres) or Montpellier 50 kilometres.